Since the first facelift in the early 1900’s people have been attempting to counteract the natural effects that aging, stress, and gravity have on their skin. Day in and day out, these factors work against us by pulling the skin on our face and neck down. With time, the collagen and elastin (which are the two vital protein fibers) in our skin begin to disintegrate, and as a result, we naturally struggle with extra skin around the chin and neck, sagging jowls, and wrinkles around the eyes. 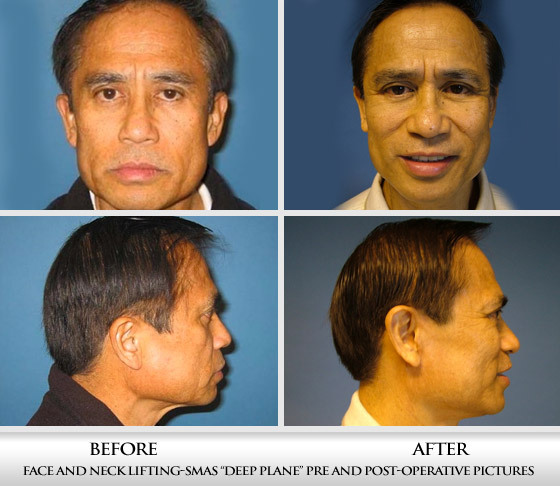 A rhytidectomy, or a facelift, is the surgical procedure designed to help improve signs of aging in the face and neck. It aims to restore the youthful contour of the midface and correct the sagging of the skin and underlying tissues in the lower face, neck, and chin, thus correcting the condition known as a double chin. Aging men who wish to reverse the effects of facial aging in the midface, jowls, lower face, neck, and chin.